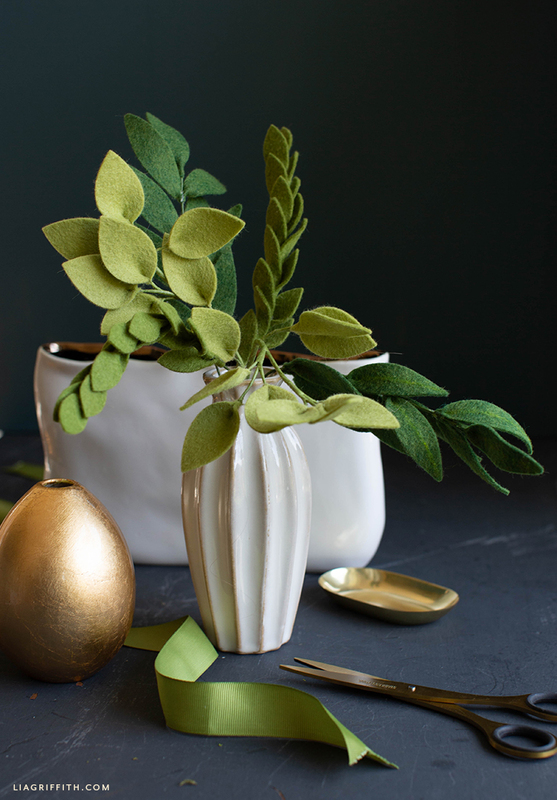 If you’re interested in making felt flower arrangements, you will need some gorgeous felt greenery! We created these felt greenery stems recently and have already used them in our felt flower bridal bouquet for spring, our felt tea roses and buds, and our felt daffodils. For those of you who are new here, this DIY craft is simple enough for any skill level. And even if you don’t add your felt greenery to any felt flowers, they will look beautiful on their own! 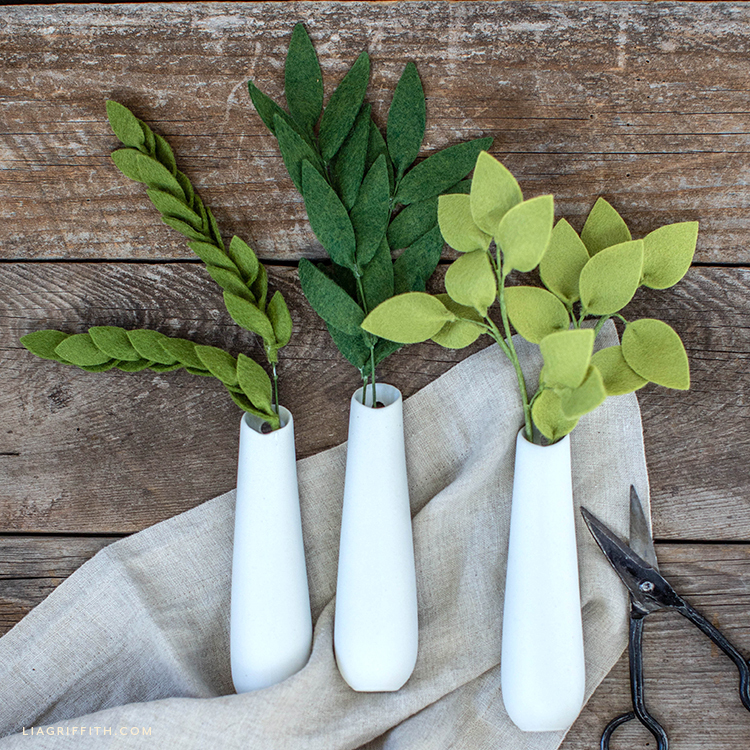 This DIY craft project is a simple way to add some gorgeous greenery to your home. We have linked all of the green felt colors we used below, but you can also choose whatever green shades you like best. You could also pick just one green felt to go with, but we like the idea of using two or three different colors to give our felt greenery arrangement a bit more depth. 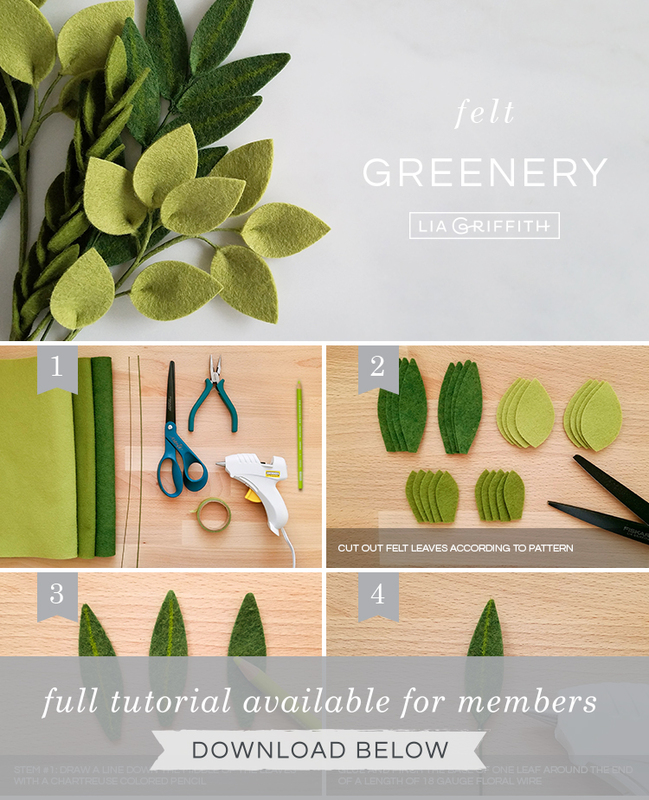 When you’re ready to craft your felt greenery, just follow the tutorial below. If you have a Cricut Maker, you can cut your felt pieces using our SVG file. Or, you can cut your greenery by hand with our PDF template. Gather your craft tools and materials. Then download the greenery template below. Cut out felt according to the pattern, using your Cricut Maker or scissors. If you want to make bigger stems, you can cut more leaves. To make stem #1: Draw a line down the middle with a chartreuse colored pencil. 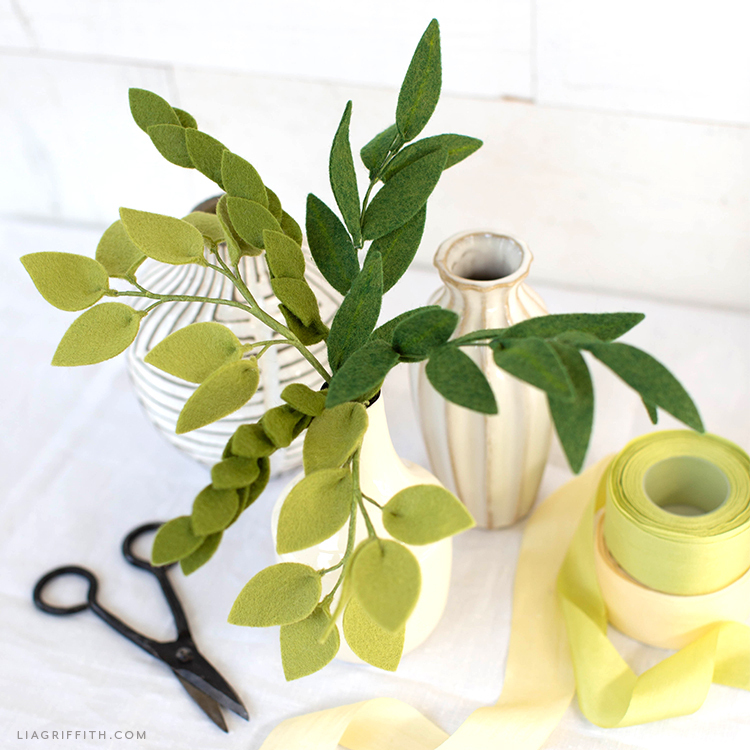 Glue and pinch the base of one leaf around the end of your 18-gauge floral wire. Want more felt craft ideas? Browse all of our felt flowers on the site. Or check out our entire selection of felt craft projects.